How can we find patterns and anomalies in a tensor, or multi-dimensional array, in an efficient and directly interpretable way? How can we do this in an online environment, where a new tensor arrives each time step? Finding patterns and anomalies in a tensor is a crucial problem with many applications, including building safety monitoring, patient health monitoring, cyber security, terrorist detection, and fake user detection in social networks. Standard PARAFAC and Tucker decomposition results are not directly interpretable. Although a few sampling-based methods have previously been proposed towards better interpretability, they need to be made faster, more memory efficient, and more accurate. 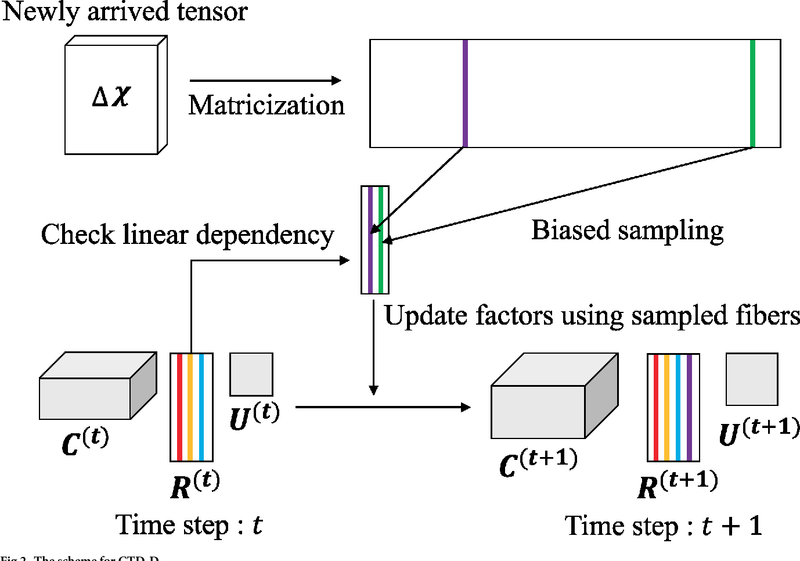 In this paper, we propose CTD, a fast, accurate, and directly interpretable tensor decomposition method based on sampling. CTD-S, the static version of CTD, provably guarantees a high accuracy that is 17 ~ 83x more accurate than that of the state-of-the-art method. Also, CTD-S is made 5 ~ 86x faster, and 7 ~ 12x more memory-efficient than the state-of-the-art method by removing redundancy. 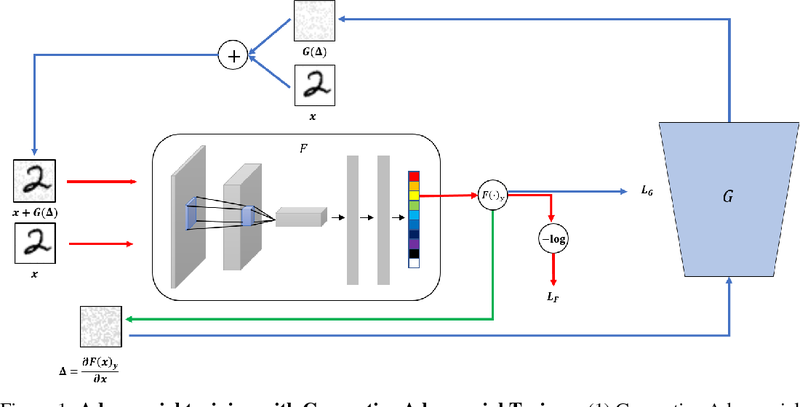 CTD-D, the dynamic version of CTD, is the first interpretable dynamic tensor decomposition method ever proposed. Also, it is made 2 ~ 3x faster than already fast CTD-S by exploiting factors at previous time step and by reordering operations. With CTD, we demonstrate how the results can be effectively interpreted in the online distributed denial of service (DDoS) attack detection. We propose a novel technique to make neural network robust to adversarial examples using a generative adversarial network. We alternately train both classifier and generator networks. The generator network generates an adversarial perturbation that can easily fool the classifier network by using a gradient of each image. Simultaneously, the classifier network is trained to classify correctly both original and adversarial images generated by the generator. These procedures help the classifier network to become more robust to adversarial perturbations. Furthermore, our adversarial training framework efficiently reduces overfitting and outperforms other regularization methods such as Dropout. We applied our method to supervised learning for CIFAR datasets, and experimantal results show that our method significantly lowers the generalization error of the network. To the best of our knowledge, this is the first method which uses GAN to improve supervised learning. Deep neural networks(NNs) have achieved impressive performance, often exceed human performance on many computer vision tasks. However, one of the most challenging issues that still remains is that NNs are overconfident in their predictions, which can be very harmful when this arises in safety critical applications. In this paper, we show that predictive uncertainty can be efficiently estimated when we incorporate the concept of gradients uncertainty into posterior sampling. 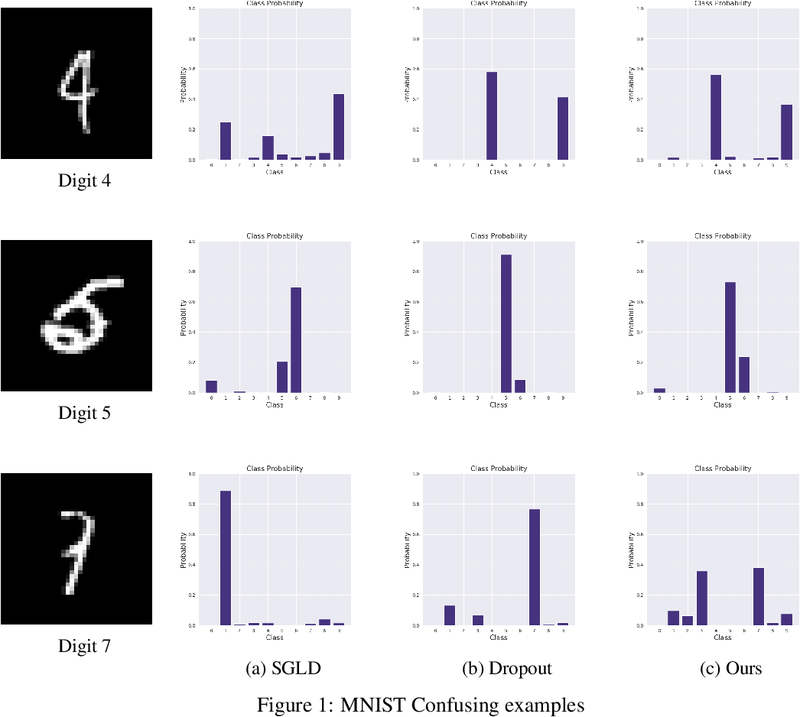 The proposed method is tested on two different datasets, MNIST for in-distribution confusing examples and notMNIST for out-of-distribution data. We show that our method is able to efficiently represent predictive uncertainty on both datasets. Training 3D object detectors for autonomous driving has been limited to small datasets due to the effort required to generate annotations. 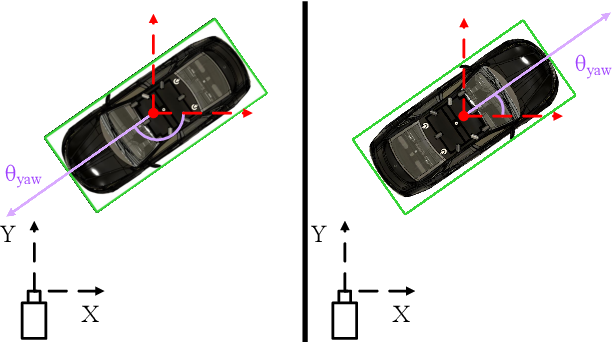 Reducing both task complexity and the amount of task switching done by annotators is key to reducing the effort and time required to generate 3D bounding box annotations. This paper introduces a novel ground truth generation method that combines human supervision with pretrained neural networks to generate per-instance 3D point cloud segmentation, 3D bounding boxes, and class annotations. The annotators provide object anchor clicks which behave as a seed to generate instance segmentation results in 3D. The points belonging to each instance are then used to regress object centroids, bounding box dimensions, and object orientation. Our proposed annotation scheme requires 30x lower human annotation time. 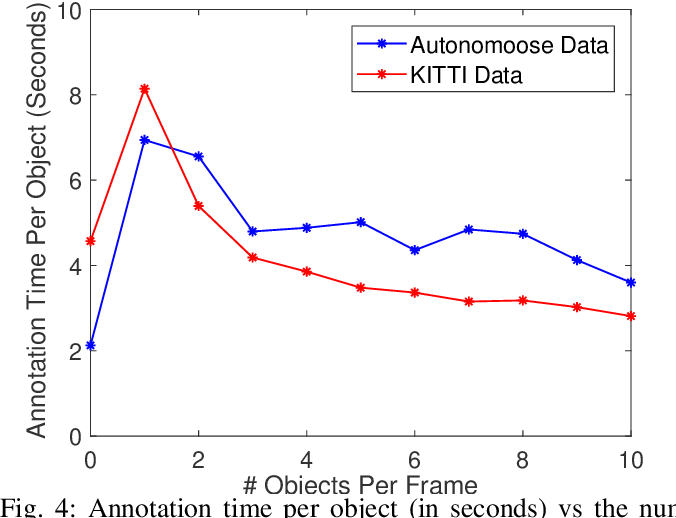 We use the KITTI 3D object detection dataset to evaluate the efficiency and the quality of our annotation scheme. 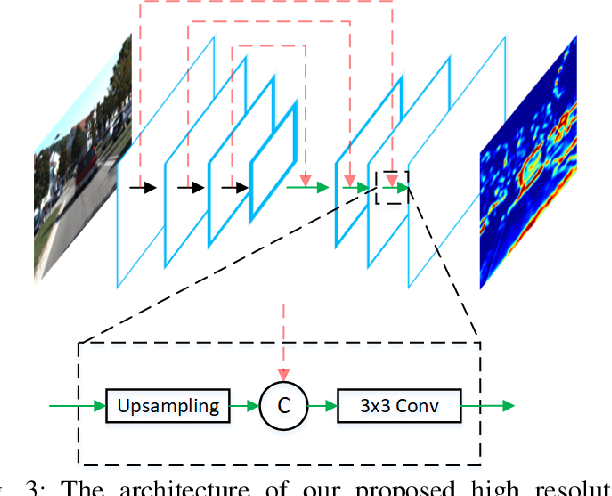 We also test the the proposed scheme on previously unseen data from the Autonomoose self-driving vehicle to demonstrate generalization capabilities of the network.